Janel Pineda '18 has been awarded a Marshall Scholarship, the British government announced this week. Pineda is one of 48 recipients chosen following a rigorous selection process that drew more than 1,000 applications from top undergraduate students across the U.S. She is the first Dickinsonian to win a Marshall Scholarship since Gail-Ann Rickert in 1974. Regarded as one of the most competitive and highly selective scholarship programs in the nation, Marshall Scholarships offer talented young Americans the chance to study any academic subject at U.K. universities of their choice for up to three years. In its 65-year-history, the program has produced six Pulitzer Prize winners, a Nobel Laureate, 14 MacArthur Fellows, two Academy Award nominees, two Supreme Court justices, a NASA astronaut and numerous university presidents. The 2019 Marshall Scholarship class is the most diverse in program history with more than 40 percent from minority backgrounds and the largest representation of women in a single class. It includes Guinness World Record holders, award-winning independent filmmakers, Division I athletes, TedX speakers, accomplished poets and four service academy graduates. Pineda will pursue two master’s degrees—a master of arts in creative writing and education from Goldsmiths at the University of London and a master of science in global migrations & social justice from the University of Glasgow. “This ultimately combines the two components of my life’s mission to use creative writing as a vehicle for change in both the personal lives of migrants and the historical record of their stories,” she said. Pineda’s love of writing began as a child. She wrote poems and short stories, and often begged her parents to take her to bookstores instead of toy stores. At age 14, she joined the L.A.-based creative writing and mentoring organization, WriteGirl, which paired her with fellow women writers and gave her opportunities to read her poetry in public. She was later profiled in an L.A. Parent article about her experiences with WriteGirl and her development as a gifted poet. “I am passionate about poetry and believe firmly in its power to be a transformative tool for empowerment and healing, particularly for marginalized communities,” she said. Pineda entered Dickinson as a Posse Scholar, majored in English with a creative writing minor, and became driven to understand her family’s experience as Salvadoran immigrants thanks to Dickinson’s focus on interdisciplinarity and global studies as well as several faculty members. Under the guidance of Carolina Castellanos, associate professor of Spanish & Portuguese, Pineda developed an independent study investigating Salvadoran history and literature surrounding the country’s civil war, an experience she says was “pivotal to building the foundation for my senior honors thesis in the English department.” Funded by the William G. and Elke F. Durden grant, Pineda traveled to El Salvador, where she studied Salvadoran literary landscapes through interviews with internationally acclaimed writer Manlio Argueta and emerging Salvadoran writers. “This research experience ultimately motivates my intent to further explore how poetry and literature can be used to attend to the tensions created by war, migration and displacement,” she said. Pineda also credits two courses—War, Race and U.S. Literature, taught by Associate Professor of English Claire Seiler, for challenging her to “think critically about how literature can be a crucial site of recovery and resistance for marginalized narratives,” and Literature of Migration taught by Assistant Professor of English Sheela Jane Menon, for largely inspiring her course of study for the Marshall Scholarship. Pineda participated in the summer 2015 Mosaic, Inequality in Brazil, and explored race, class, gender and geography across various regions of the country. In 2016, she traveled to Chile to learn about the histories and sites that inform literature by writers such as Gabriela Mistral, Pablo Neruda and Luis Sepúlveda. Pineda also was selected to spend her junior year abroad at Oxford University through Dickinson’s partnership with the highly selective Mansfield College Visiting Student Programme. Pineda also was actively engaged on campus. She was president of Exiled Poetry Society and led the collective through poetry workshops, open mic events and stage performances. 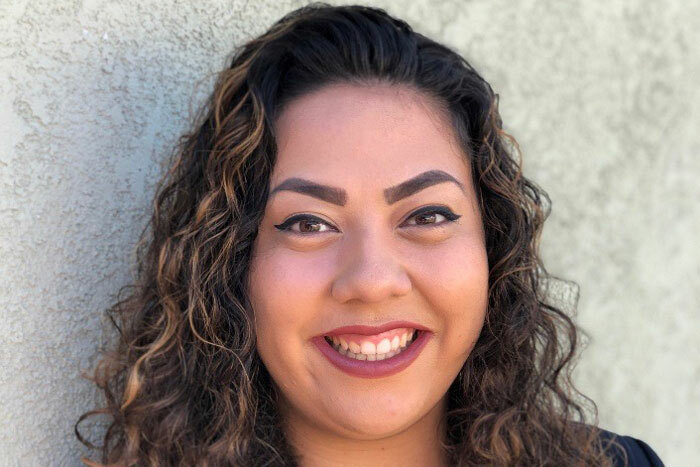 With Jacqueline Amezcua ’19 (Latin American, Latino & Caribbean Studies; Spanish), she co-founded and facilitated the Latina Discussion Group to create a community space for Latina students on campus. Pineda was tapped into the Wheel and Chain Honor Society, an experience she calls “one of the most transformative aspects of my Dickinson experience” for its commitment to uplifting the voices of Dickinson women. During her sophomore year, Pineda wrote and performed, “To Be a Latina Woman on a College Campus.” A video of that spoken-word performance was highlighted in The Huffington Post and received national attention. She has performed her poetry across the country and internationally as part of Festival de Poesia Amada Libertad in El Salvador, and her work has been published in various anthologies, including The Wandering Song: Central American Writing in the U.S.
Pineda also served as editor-in-chief of The Dickinson Review, a peer tutor in the Norman M. Eberly Multilingual Writing Center, a student assistant in the Department of English and a member of the English majors committee. She was a member of Sigma Lambda Gamma and Belles Lettres Literary Society, lived in the Social Justice House, and helped organize a congressional letter-writing campaign to support DACA, which generated 100 letters to members of Congress.